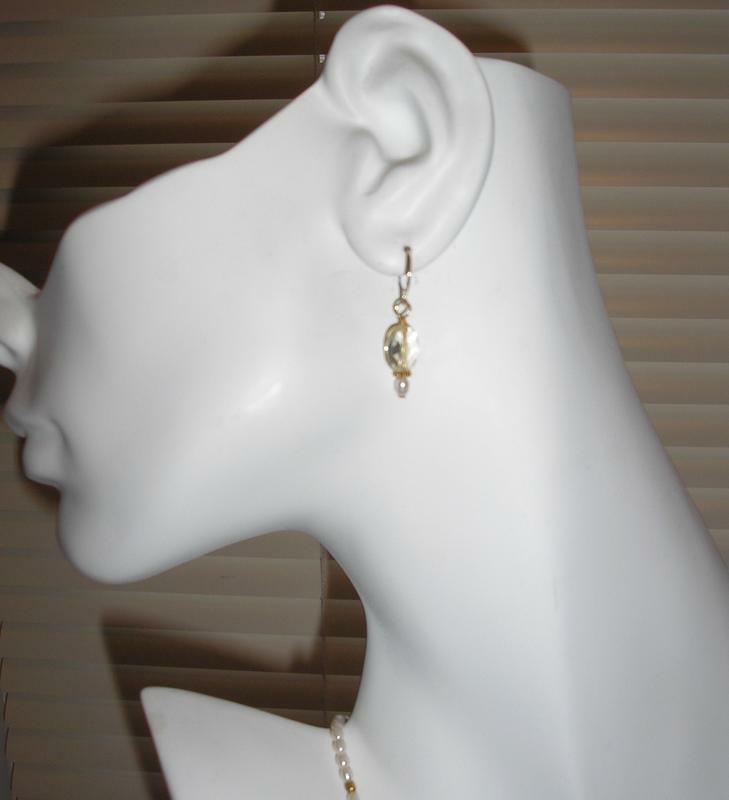 Golden faceted citrine beads are featured in this design. 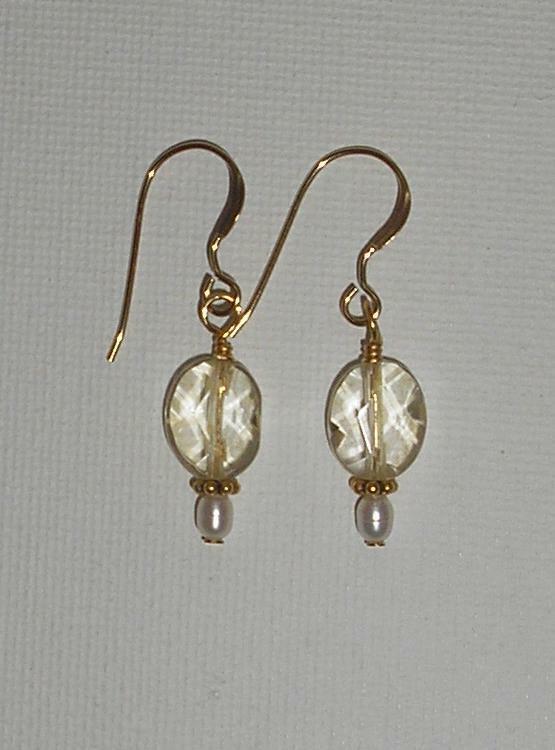 Simple white seed beads, and paired with 14KT gold filled findings, these are just gorgeous. 2 faceted citrine beads. I used oval beads but any citrine beads of your choice will do. 2 Bali daisy spacer beads. I used 14KT Gold filled findings. 2 14KT gold filled headpins. Slide beads onto head pins. 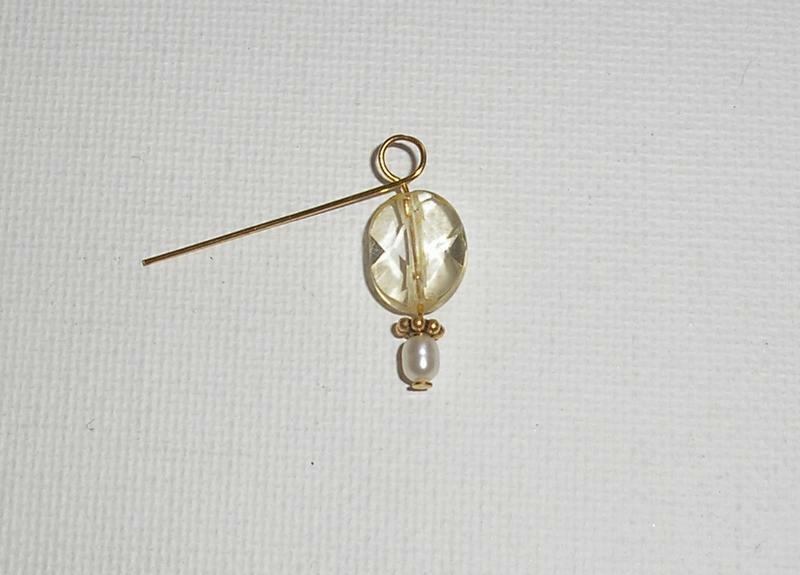 At the top of the last bead, using round nose pliers, create a loop in the wire, slide onto earring component to fasten, then close the loop. If you need help learning to make a loop, follow these instructions. That's it! 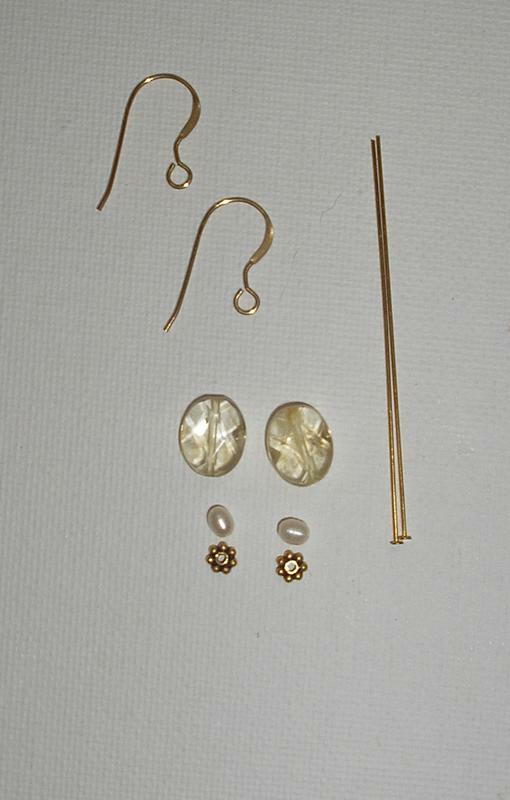 Your citrine bead earrings earrings are ready to wear!